Important: Zoetrope Labs has decided to close down after 5 great years of business. The team are moving on to new adventures. This site is left up for reference only. At Zoetrope, we keep very close ties between engineering and sales (we’re still all in the same room after all!). As part of this we attempt to reduce the number of copy-paste type tasks. This form pings off a message to a special room on Slack (Die email, die!!) and optionally adds the person to the mailchimp mailing list. Mailchimp has an excellent module for drupal, so we were able to hook into that with no complications. We recently switched to Base CRM which exposes an API which they’ve very kindly integrated with Zapier. At first it seemed that the lack of a drupal module was going to make integrating a pain, until we found Zapiers webhooks! 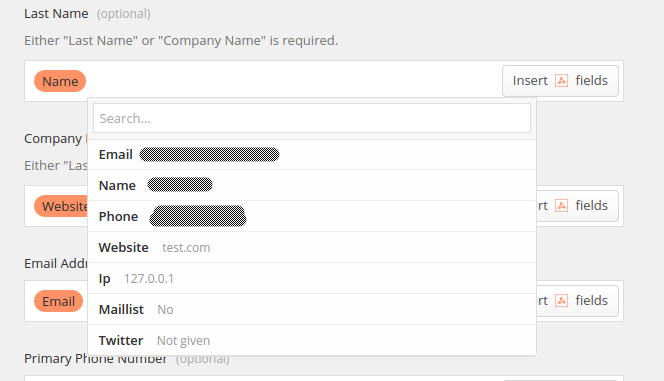 Zapier then prompts you to test that setup by performing the task with the test data and that’s it, you’re done! There’s nothing here which couldn’t have been done with just the basic API, however this has taken what would’ve been a day long task of getting authentication sorted out, a basic API wrapper and all the normal teething problems and turned it into a 20 minute task. The only downside is that we use a single name field on the website, whereas the Base new lead action wanted first and last name. We opted to just put the whole name in the last name field for now and we can update them if we turn those leads into customers. I’ve often been left feeling like actions in Zapier are rather underpowered, but this one has really saved me a lot of time and hence won me over!